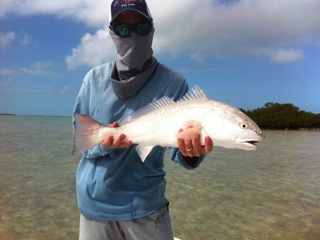 My buddy Captain Tony Skinner and I went on a field research trip the other day in the Key West backcountry. 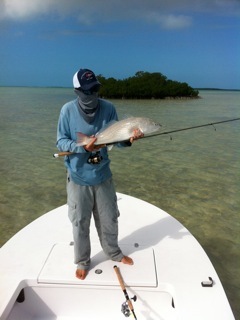 We fished a couple of flats we haven't fished in a good while in hopes of finding redfish. 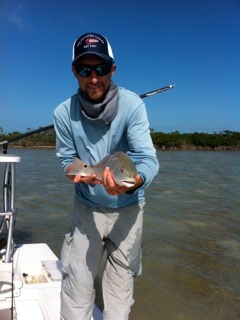 With low winter tides, a ton of mullet around and good light, we had the right conditions. 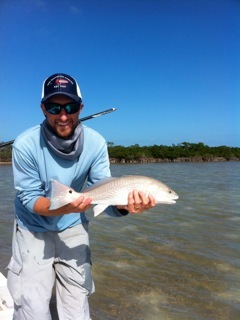 Tony spotted the first redfish not too long after we started working the flat. 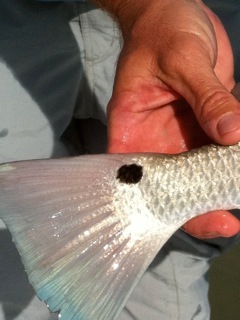 We ran over a few but Tony spotted a couple of slot redfish ahead of the boat. 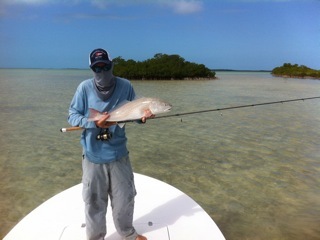 I managed to get a cast near the fish and the shrimp we were using were instantly eaten. You'd think these fish haven't eaten in a month the way they jumped on the baits. 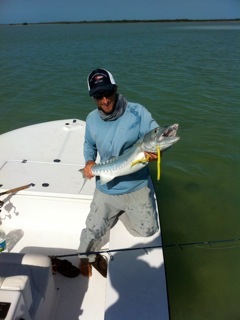 As we went along we spotted a few barracudas landing two and few other follows. We saw lots of small lemon sharks and a nice surprise was two tarpon with one of those eating a shrimp Tony placed in front of it.